The red portion of watermelon is normally eaten as a juicy fruit or its juice is used for making smoothies. But here in this recipe, the green part, which is usually thrown is used as the main ingredient with chicken. I always try to prepare new recipe with different and new ingredients. Watermelon chicken recipe is one my different and new recipe. Cooking of watermelon chicken recipe is not that difficult. The most important thing is to peel out the skin and remove the red part of the watermelon. Otherwise just follow the step by step process, you’ll be able to do it. 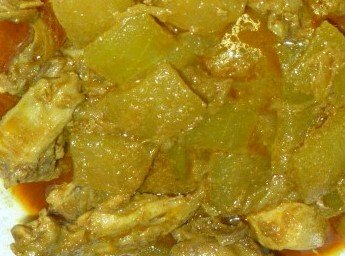 In most of the chicken curries there is a second main ingredient; usually, potato or any other vegetable is used. Some people uses sweet pumpkin with the chicken. If you use the green part of watermelon with the chicken, you’ll almost similar taste of cooking with sweet pumpkin. 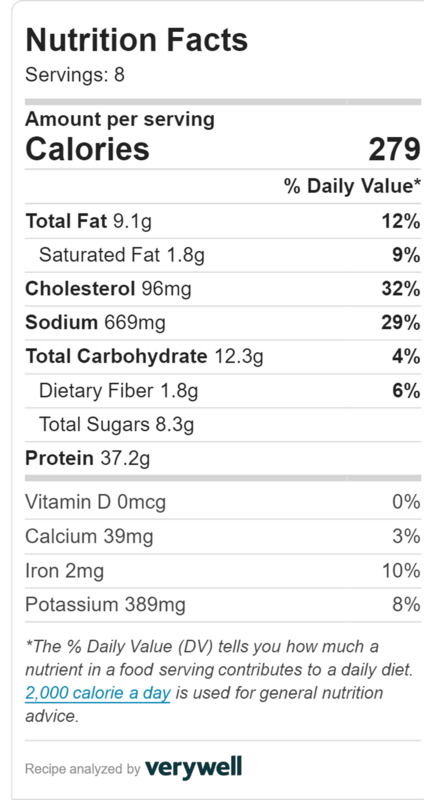 If you check the nutrition facts of the recipe you will find the nutrition value. This recipe will give you a healthy and different taste. I hope you will like this recipe and from now you will not throw out the white part of the watermelon. You can cook the white part of watermelon with fish also. Peel the green skin of watermelon’s white part. Cut watermelon’s white part into 1×2 inch size. Wash and keep aside. Remove additional extra fats from the chicken pieces and cut chicken into small pieces with sharp knife. Wash and clean chicken pieces. Rinse very well and keep aside. Heat oil in a non-stick pan over medium heat. Add onion sliced to the oil and fry it for 2 minutes. After 2 minutes add onion paste, garlic paste, ginger paste, turmeric powder, cumin powder, coriander powder, chili powder, hot spice powder, and salt to the onion sliced. Then add 1 cup of hot water to spices. After blooming add chicken pieces to the spices. Cover with a lid and cook the chicken pieces over medium heat. When the water evaporated add watermelon’s white part and stir it. Add 1 and 1/2 cups of hot water and cover with a lid. Cook until gravy is become thick. You can use induction cooktop for cooking. This is very safe for cooking, no fire and no hit. Healthy watermelon chicken recipe is ready to serve. Serve the curry with rice, pulao, paratha or tortilla. If you like my watermelon chicken recipe please share my recipe with your family and friends.